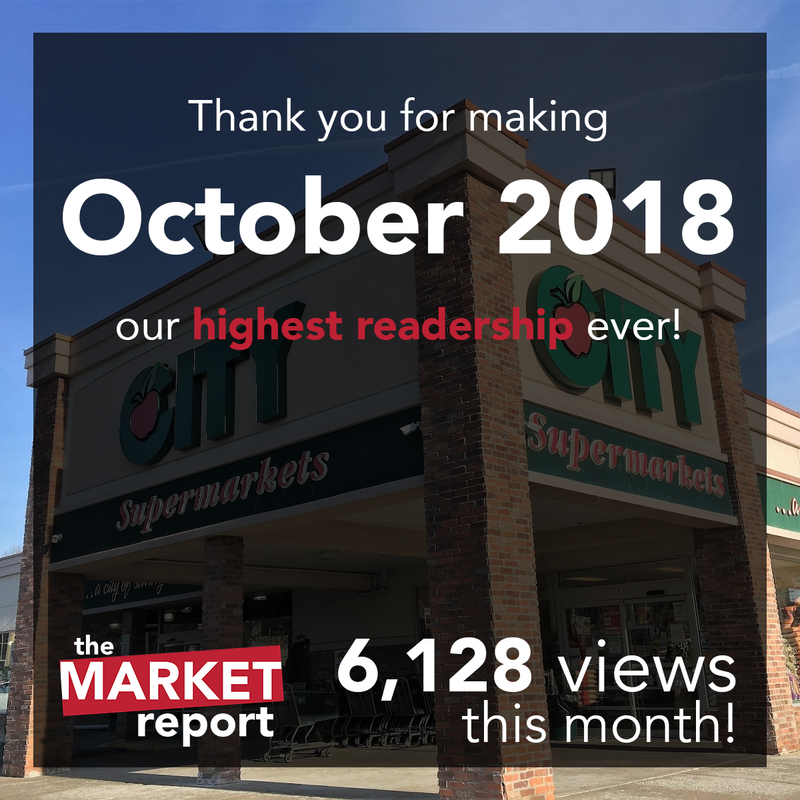 The Market Report: Thank you! 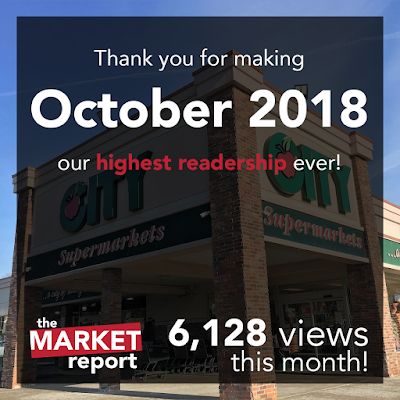 We broke a record this past month, with more than 6100 views in October 2018! This is our best month ever, since the blog was started back in November 2016. Our second anniversary is coming up on the 12th, which we're marking by starting the Brooklyn group. As always, thank you to all of the readers who make writing this blog worth writing, whether you're checking back every day or just passing through while looking up a particular store. We are thrilled to have almost reached the 80,000 view mark, which we almost definitely will by the time of our second anniversary. Going forward, what would you like to see here on The Market Report? Let us know here! Now don't forget to scroll down and check out today's Look Inside, a Western Beef in Manhattan! Congratulations, and happy early anniversary as well!